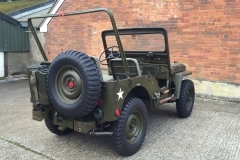 1952 Willys M38 This particular vehicle is in exceptional original condition, It retains all of It's original dash data plates and instruments. 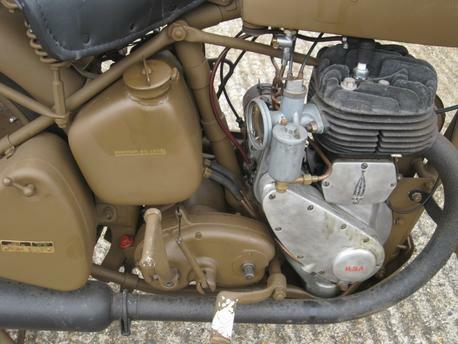 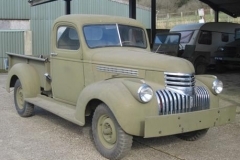 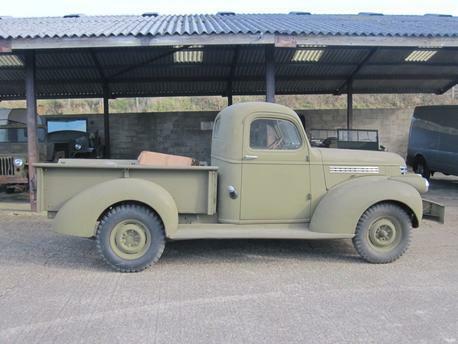 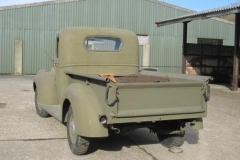 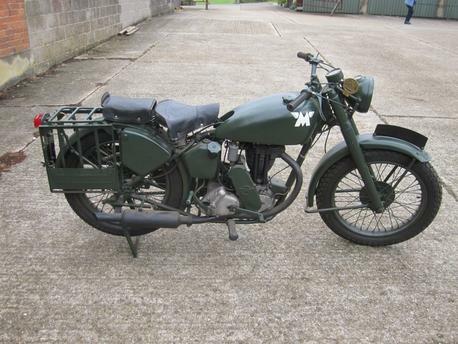 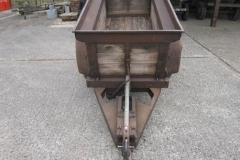 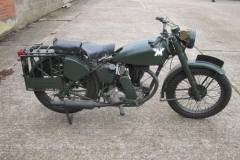 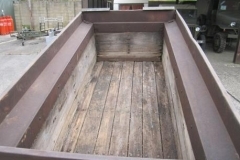 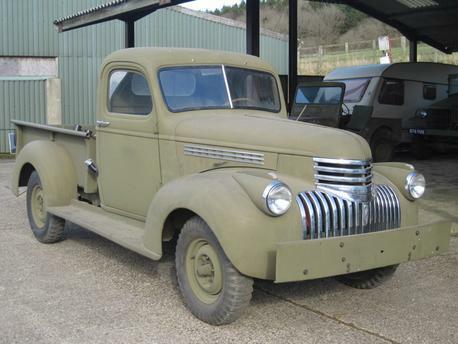 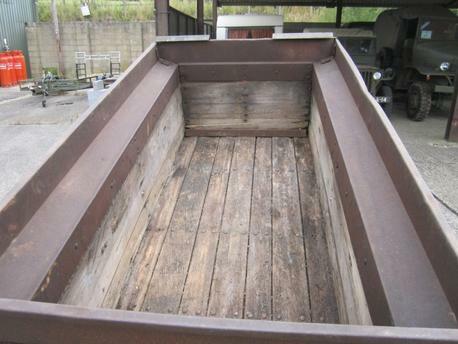 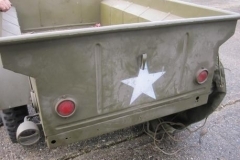 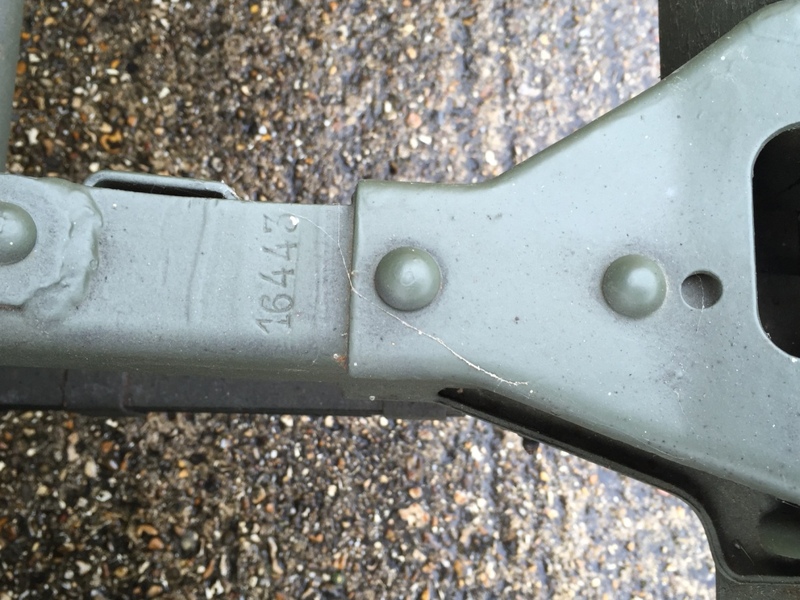 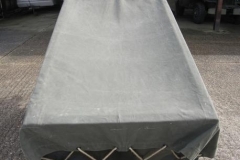 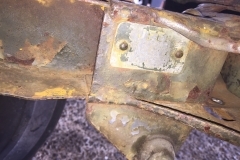 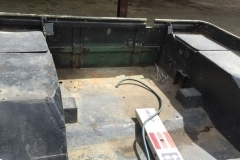 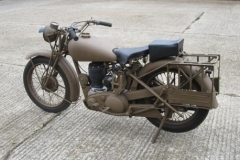 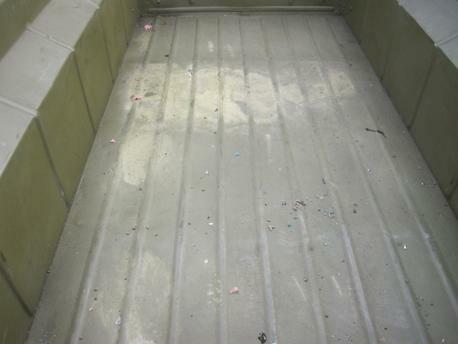 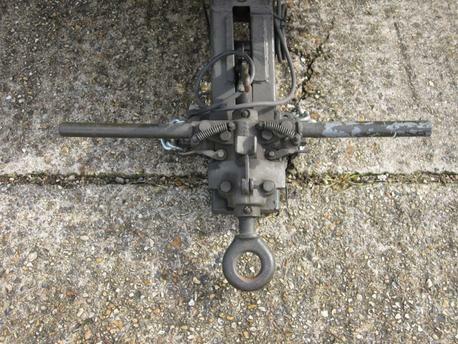 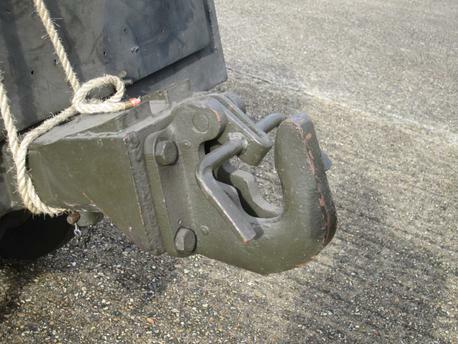 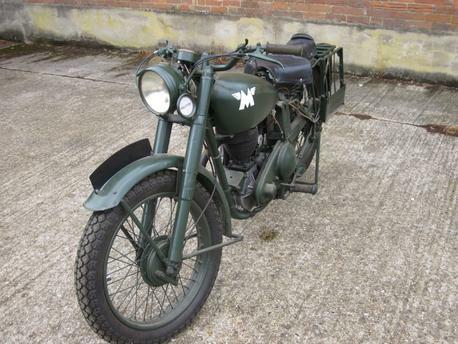 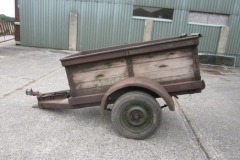 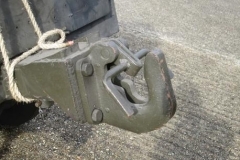 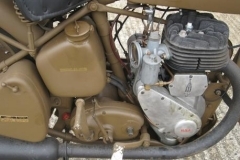 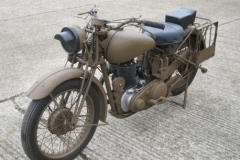 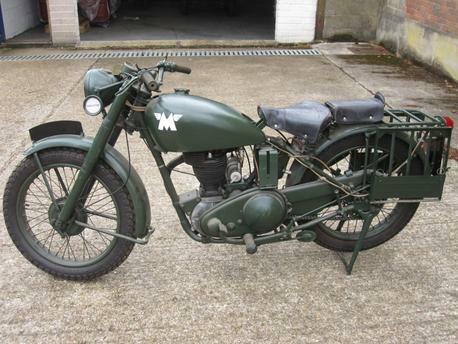 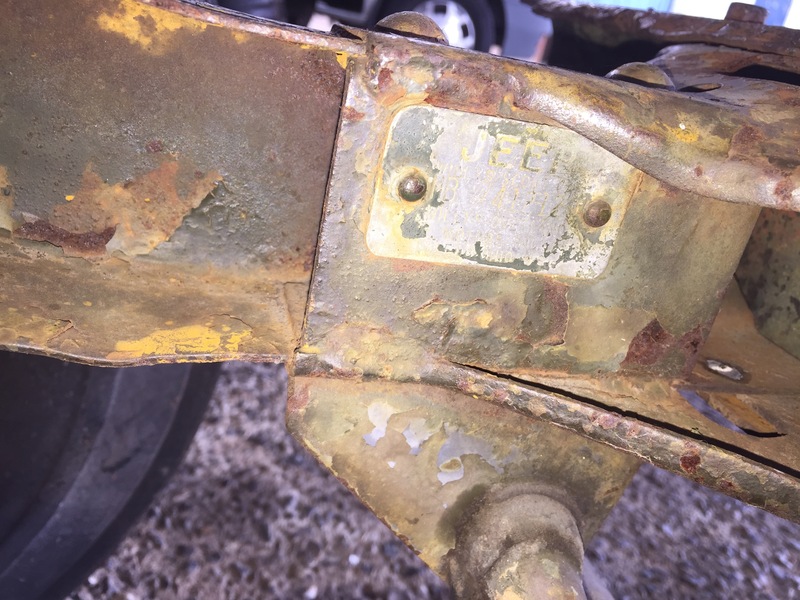 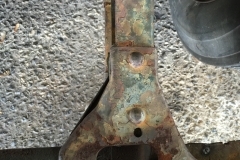 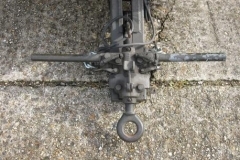 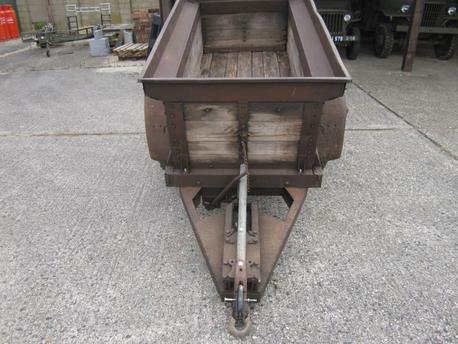 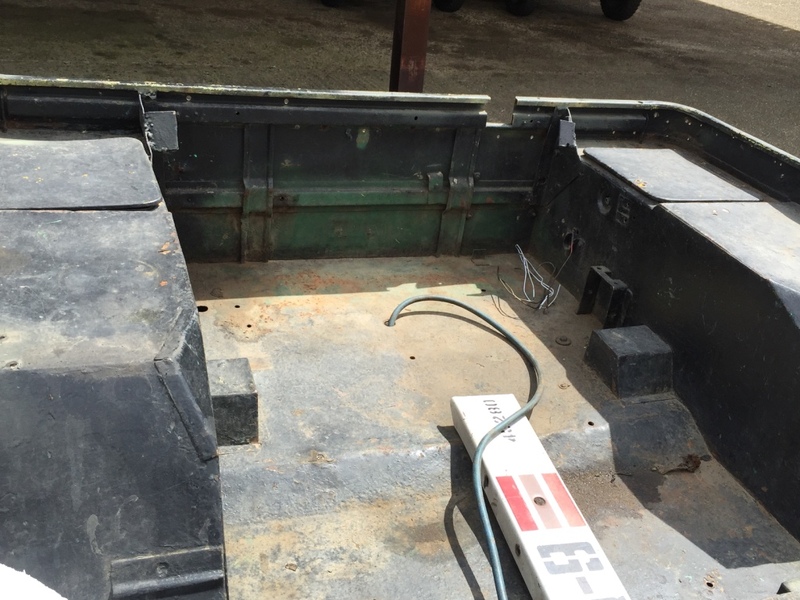 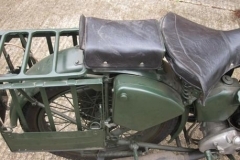 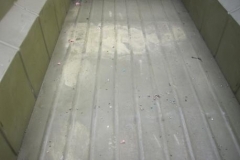 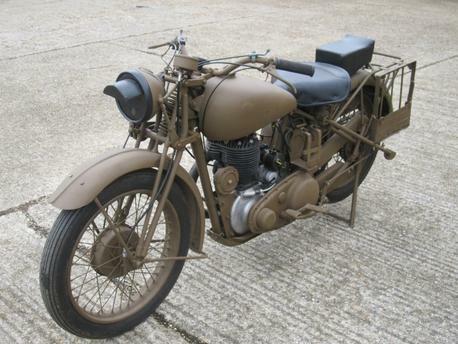 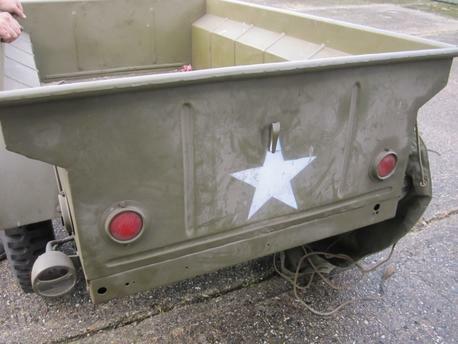 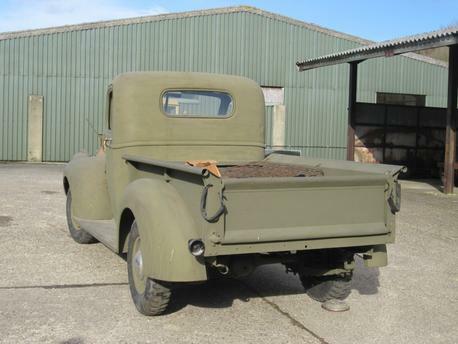 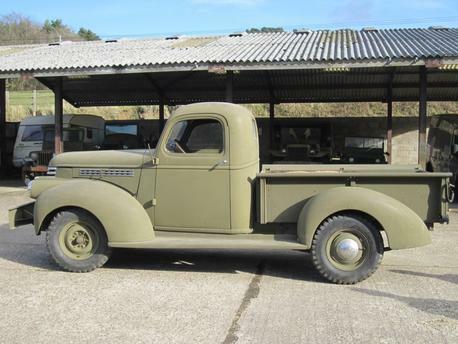 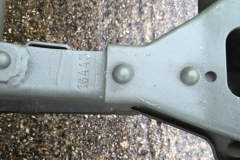 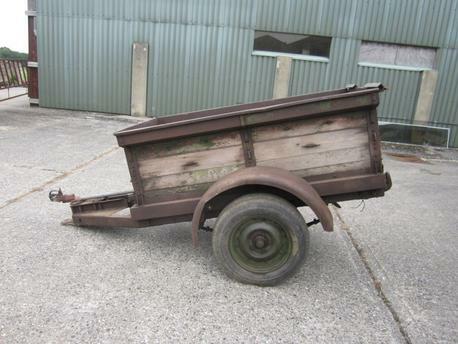 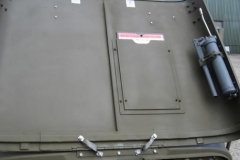 The body is in excellent condition and even still has It's original paint and unit markings. 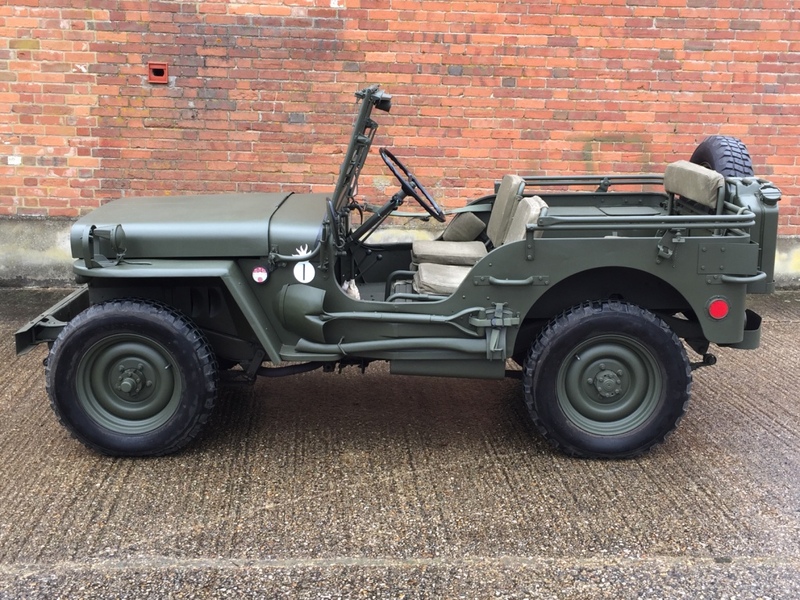 The Jeep has been recently recommissioned with many new parts fitted including new Firestone tyres, new brakes, new batteries, reconditioned radiator and new canvas. 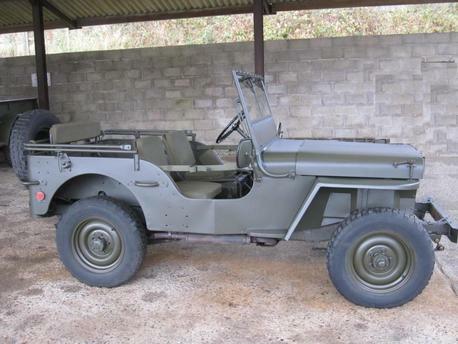 A great opportunity to own such an original vehicle. 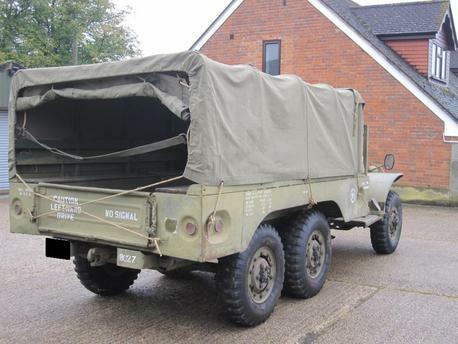 Please call for price or to arrange a viewing. 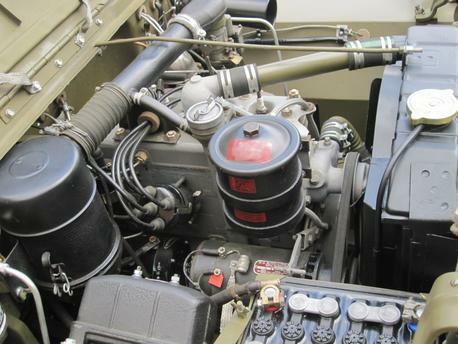 Comprehensively restored at Dallas Auto's and has covered only 650 since. 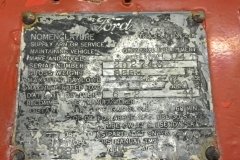 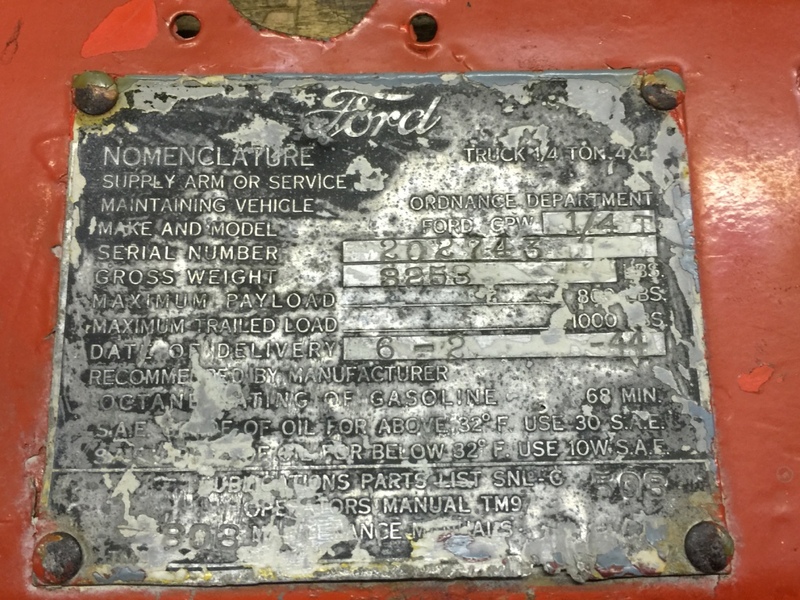 Matching frame, engine and glove box data plate numbers. 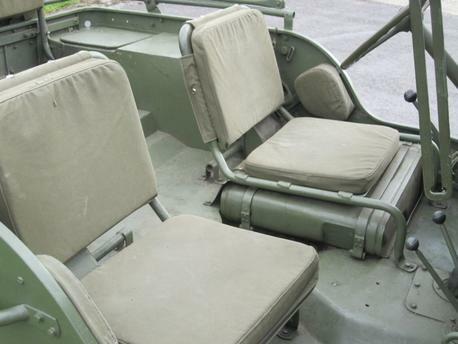 British Airborne specification. 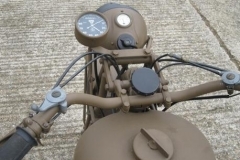 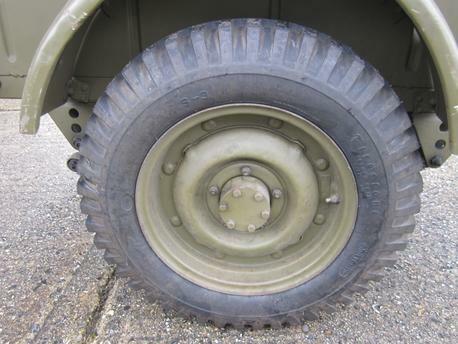 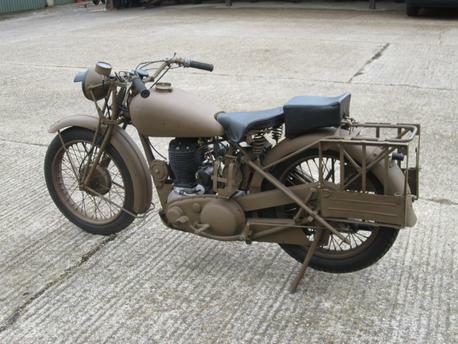 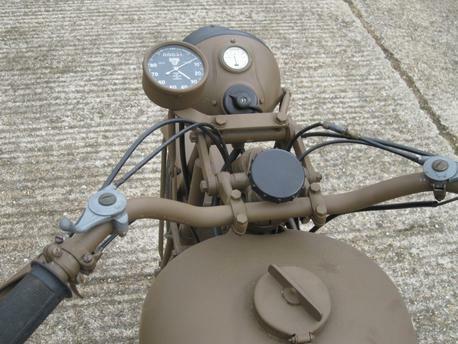 Many original 'F' marked parts fitted, 'as new' canvas, combat rims with Firestone tyres. 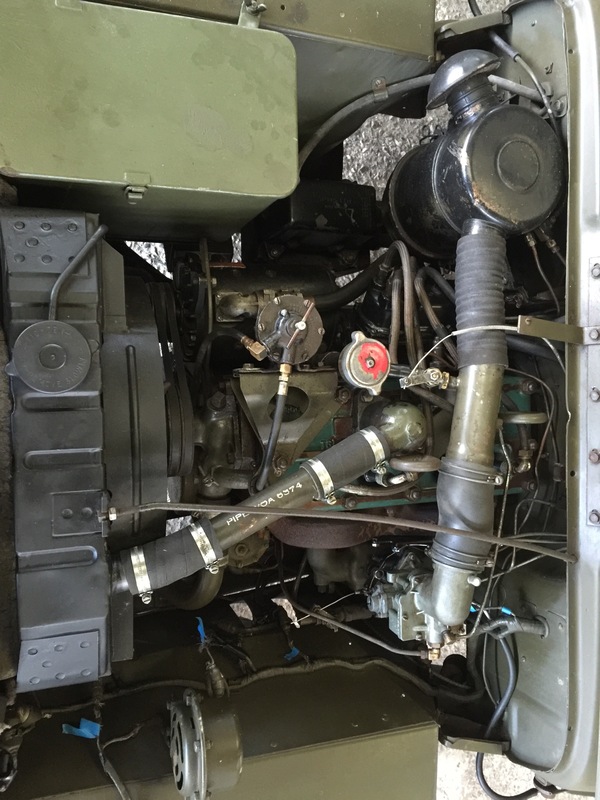 Blueprinted, fully rebuilt engine with many upgrades including balancing and converted for unleaded fuel. 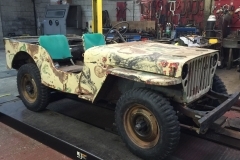 1943 Ford GPW WW2 Body, Chassis and Engine Running and driving. 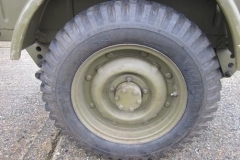 Combat wheel rims. 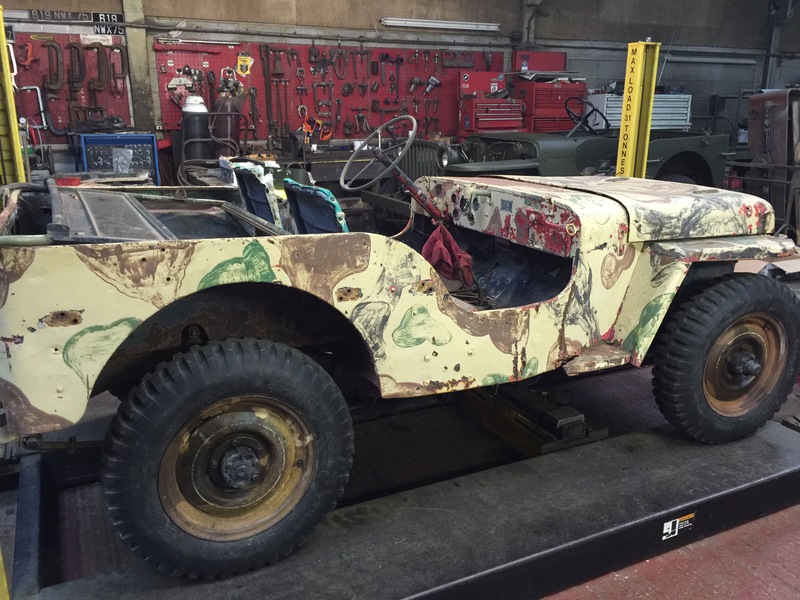 Great restoration project. 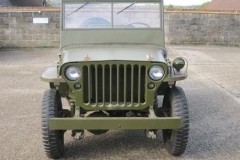 Sold with UK registration. 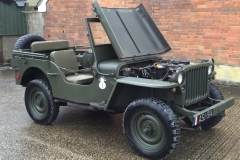 1962 Hotchkiss M201 - Runs and drives very well, body in very good condition, new canvas including full winter kit, serviced and ready to go. 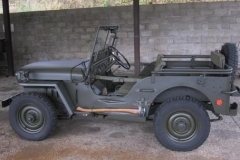 1963 Hotchkiss M201. 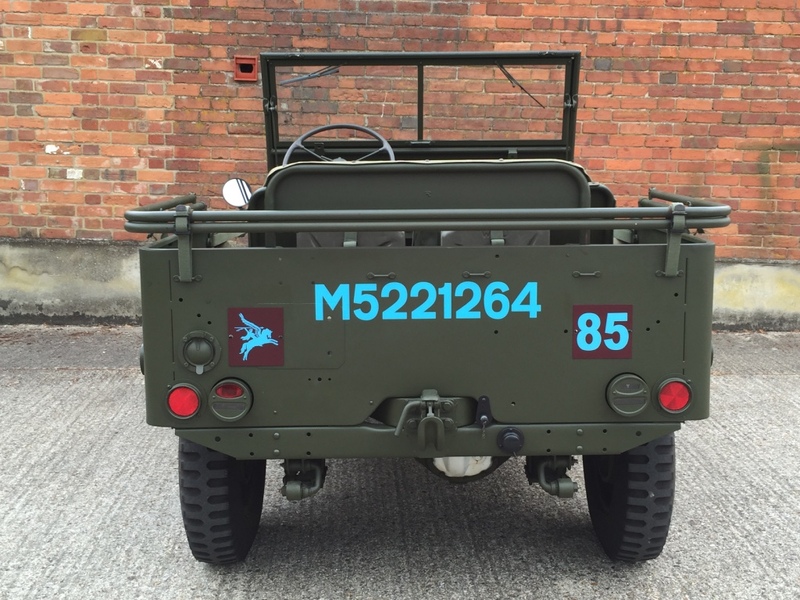 Excellent M201, original body in fantastic condition, this vehicle still has its original engine with the correct data plate. 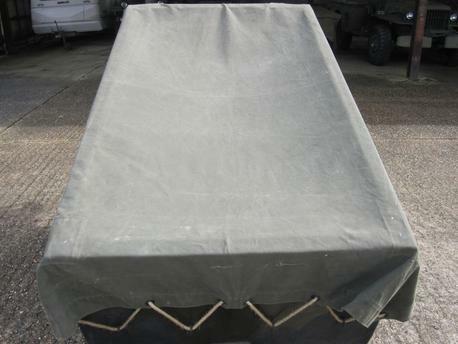 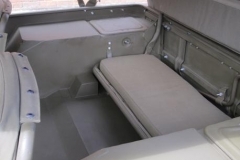 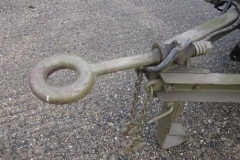 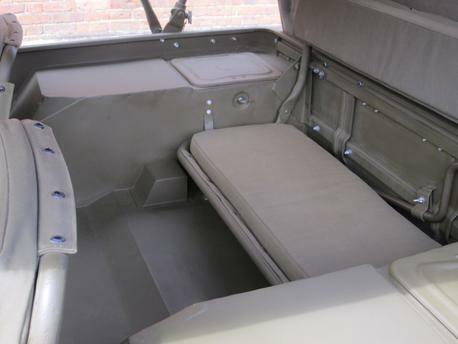 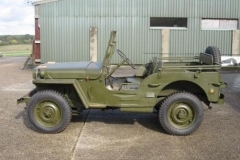 The Jeep will be supllied with a full winter canvas kit, accessories include the Ohio brass Ariel base, axe and shovel. 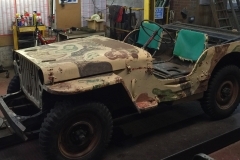 This vehicle will be sold fully serviced and will have a full years MOT test. 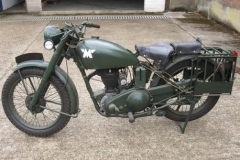 Any inspection and road test welcome. 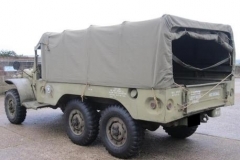 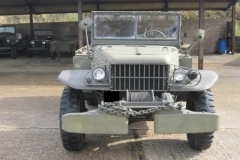 1962 Hotchkiss M201 – Low Mileage. 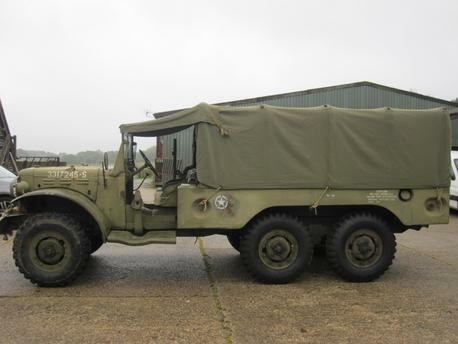 1962 Hotchkiss M201. 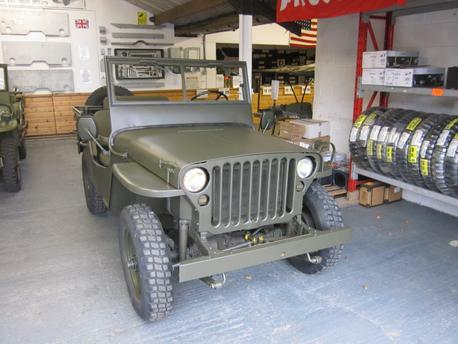 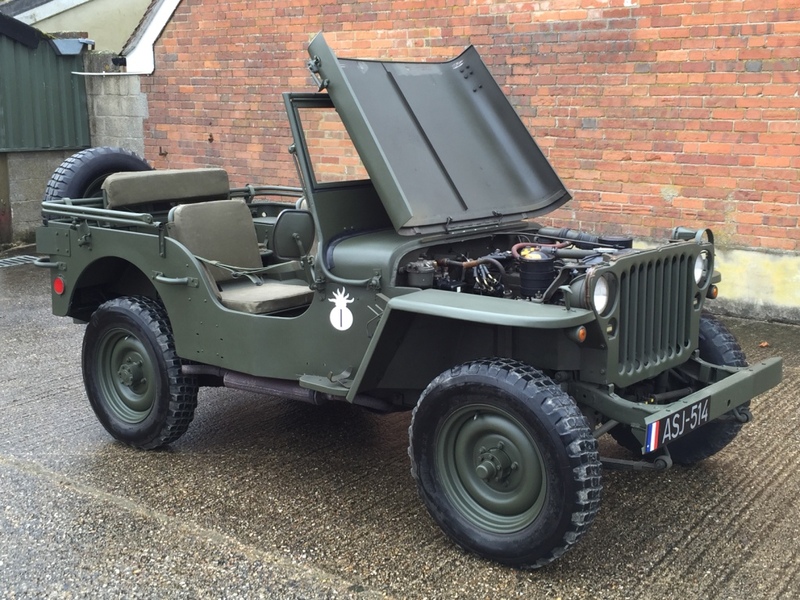 One of the finest, original, low mileage M201 Jeeps on the market, purchased by Dallas Auto’s direct from the French Army. 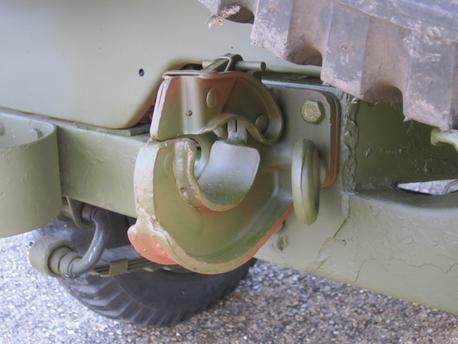 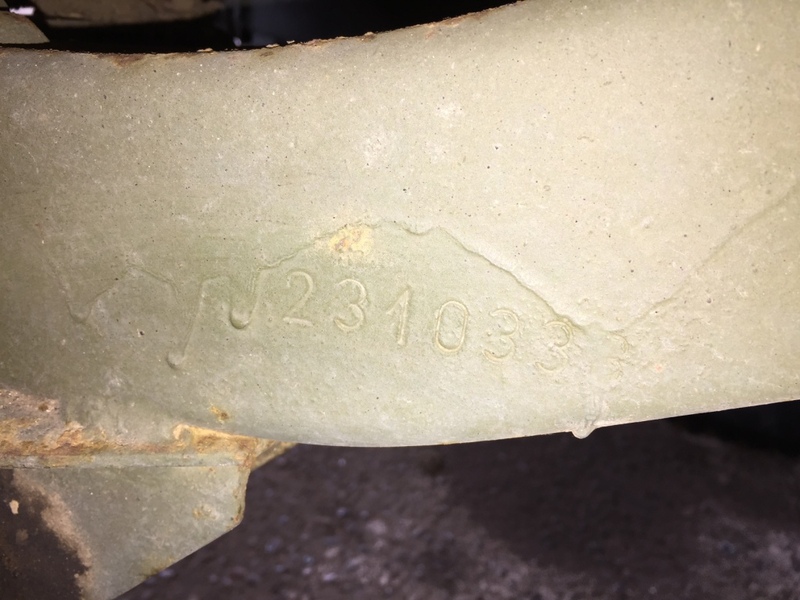 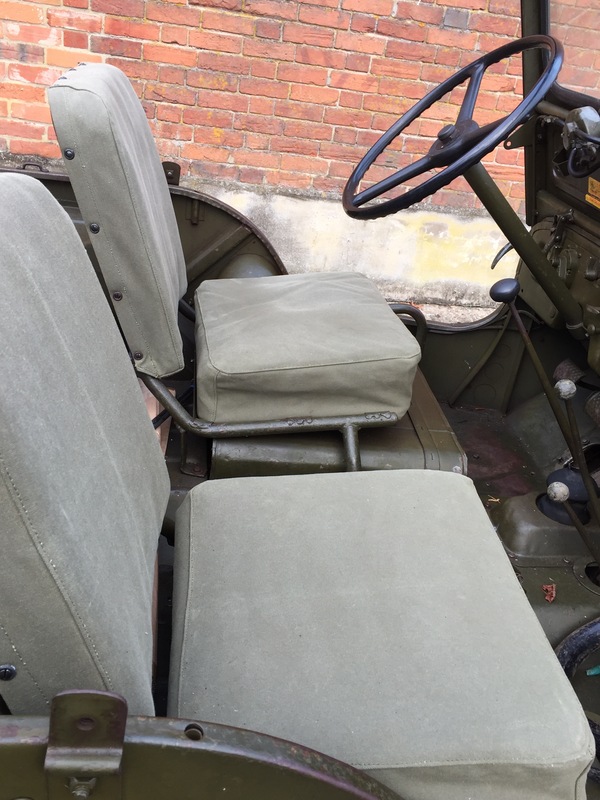 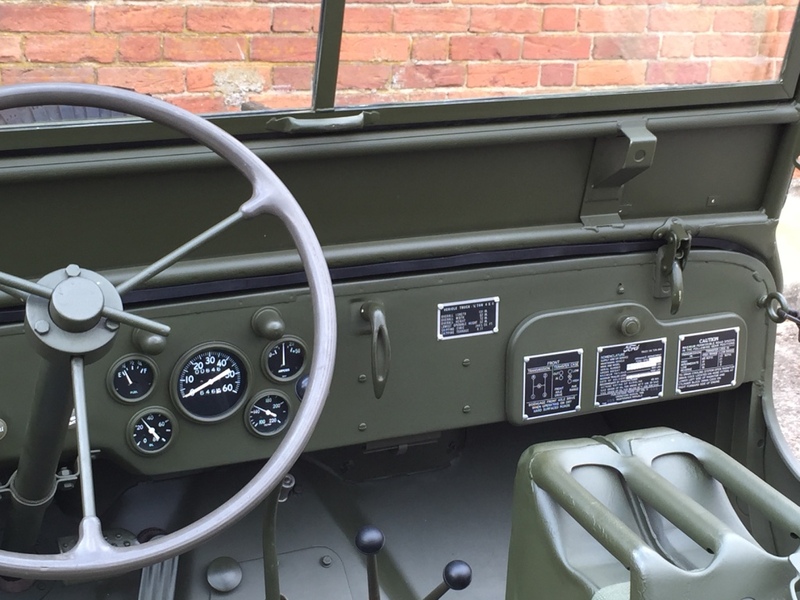 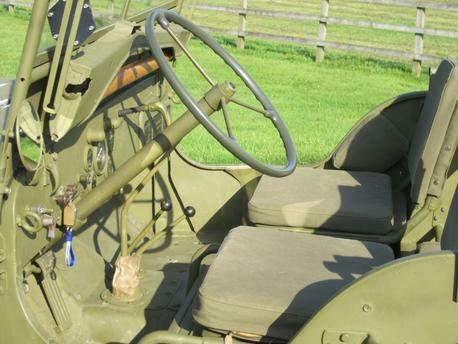 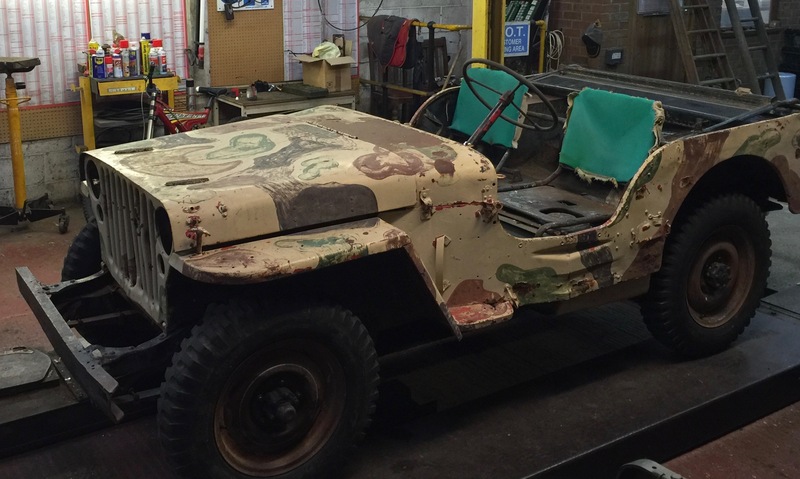 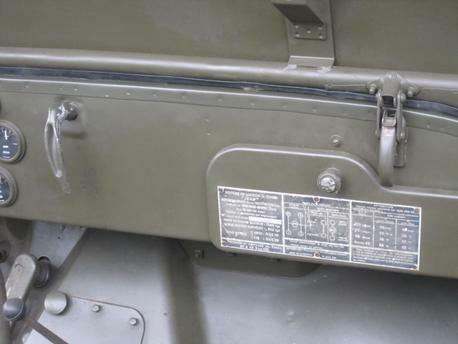 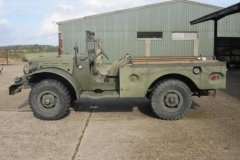 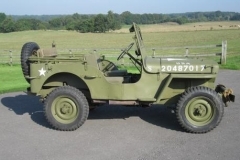 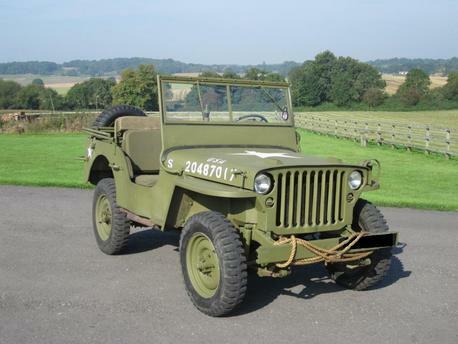 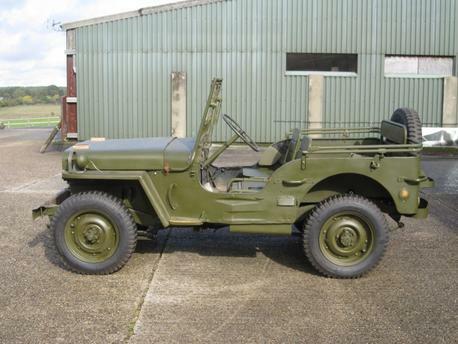 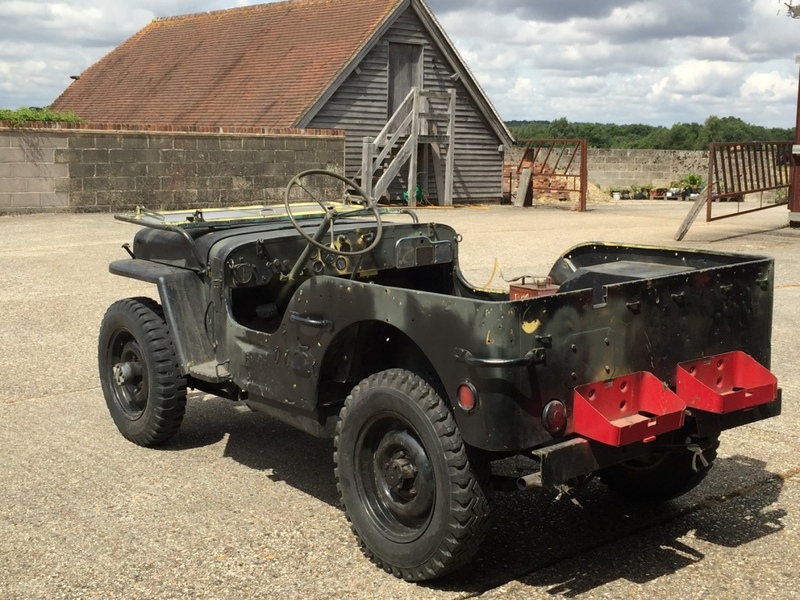 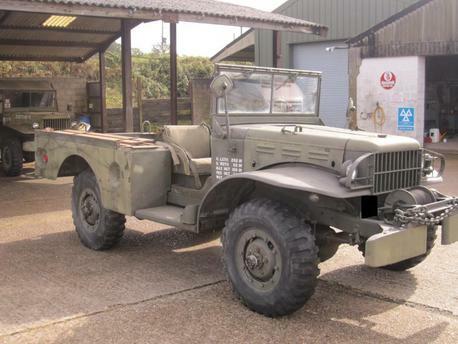 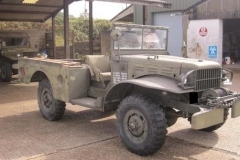 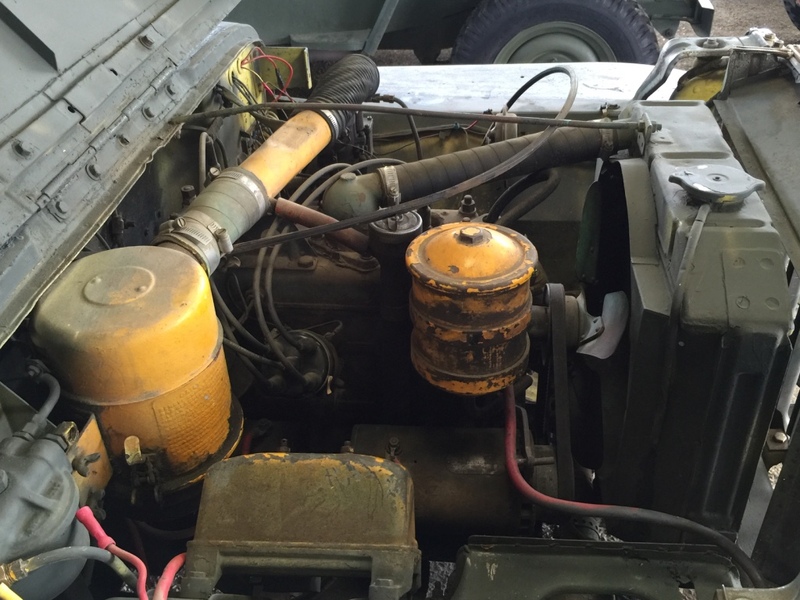 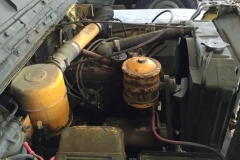 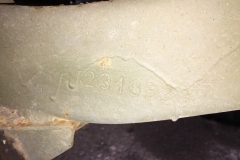 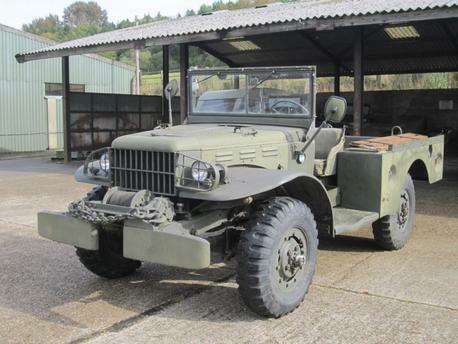 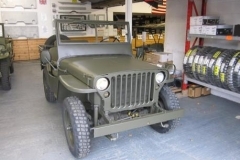 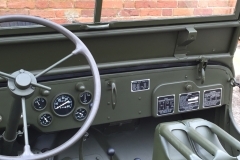 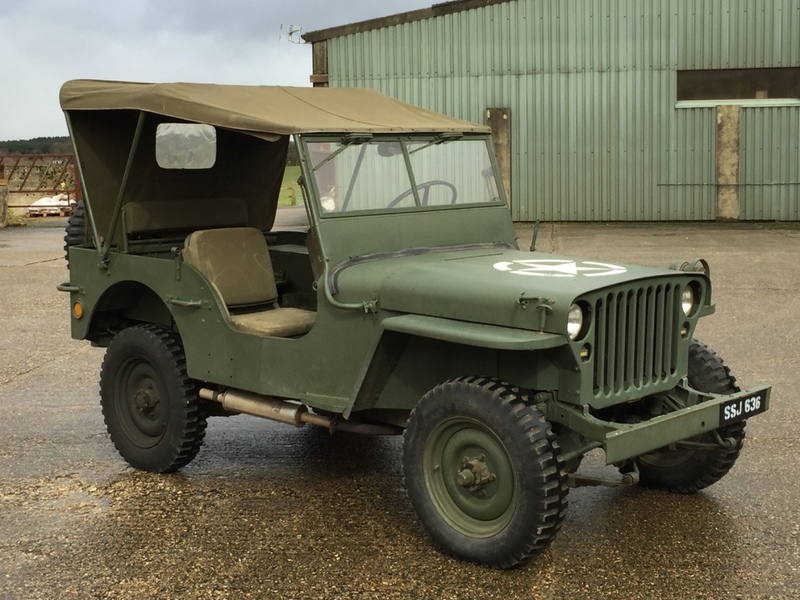 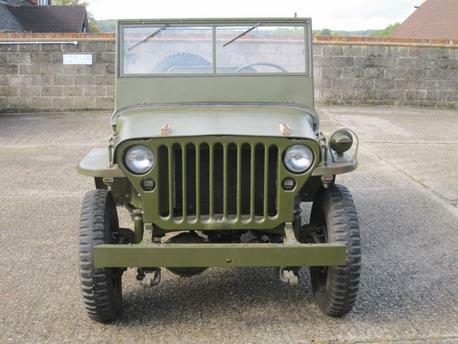 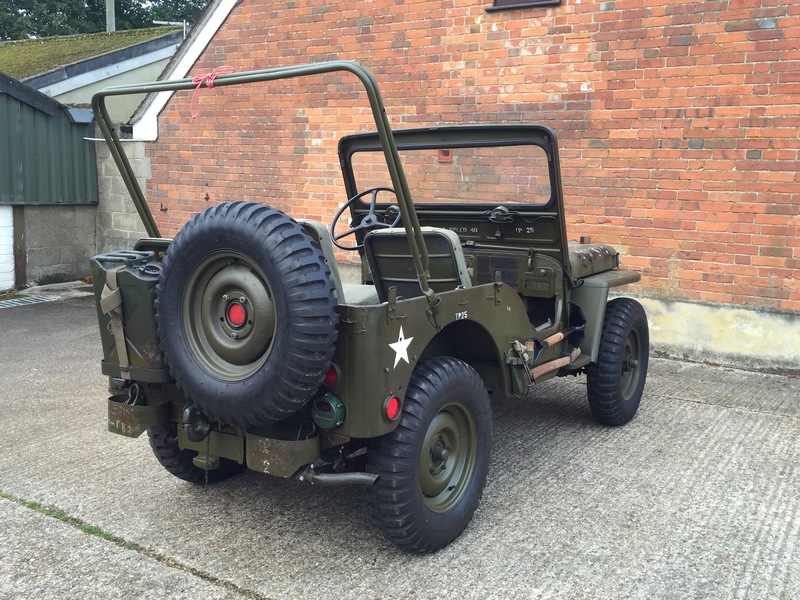 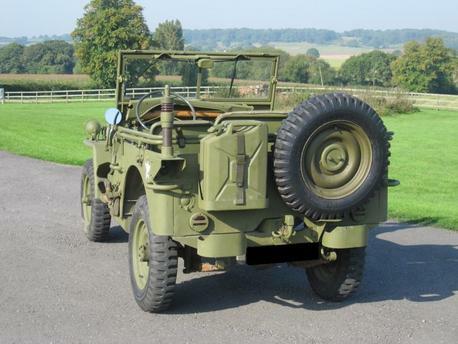 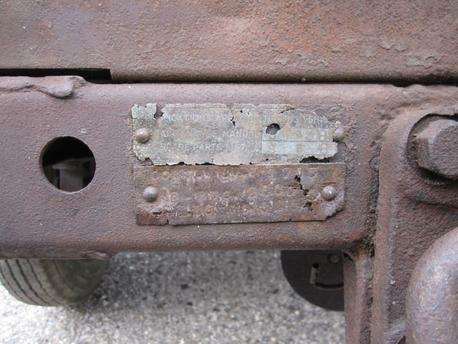 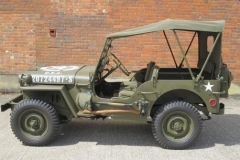 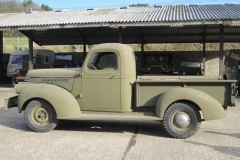 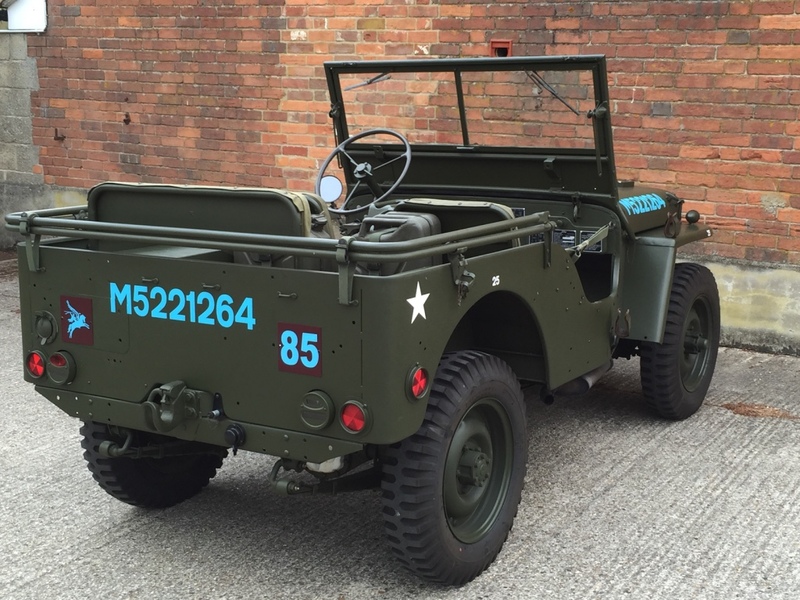 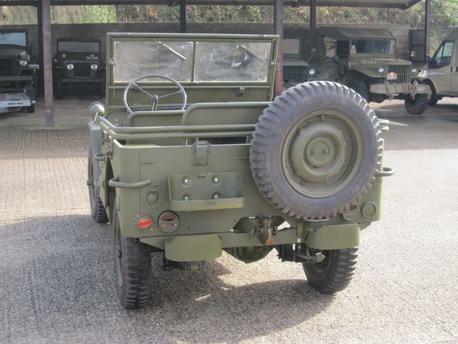 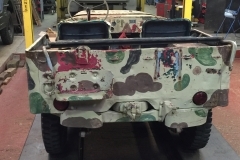 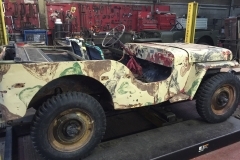 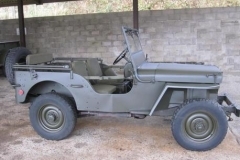 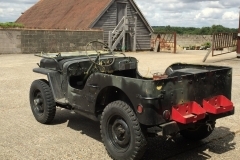 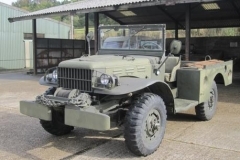 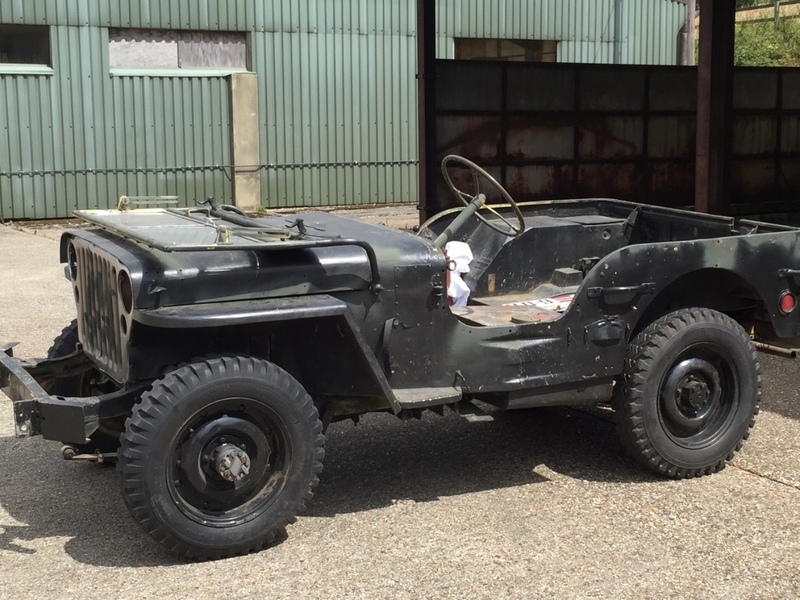 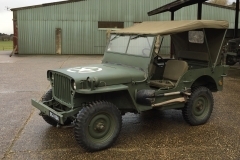 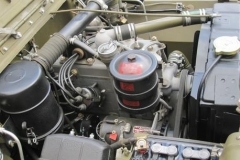 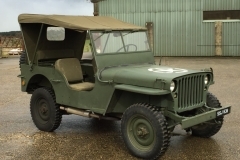 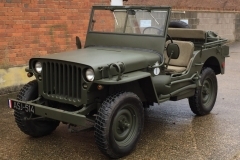 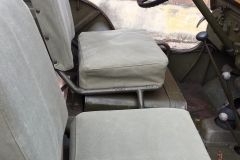 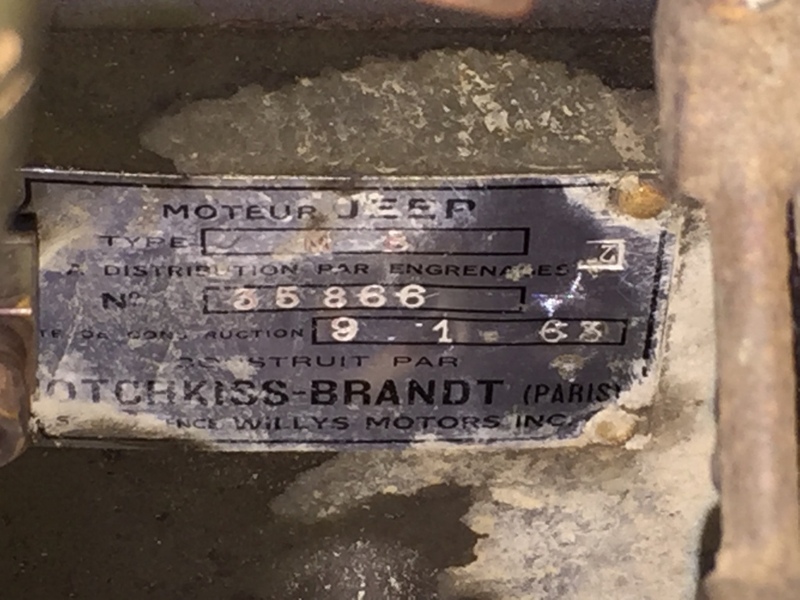 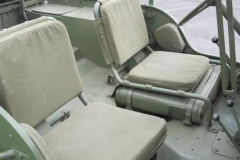 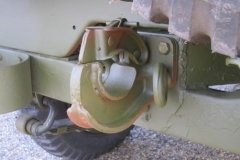 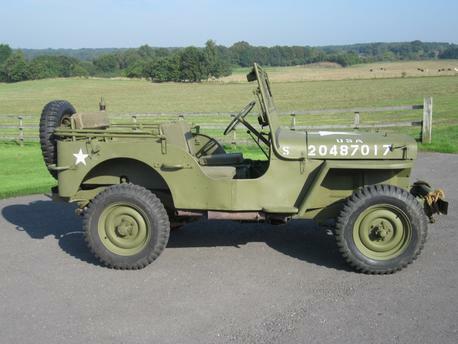 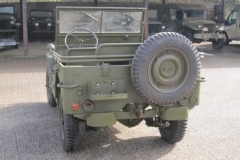 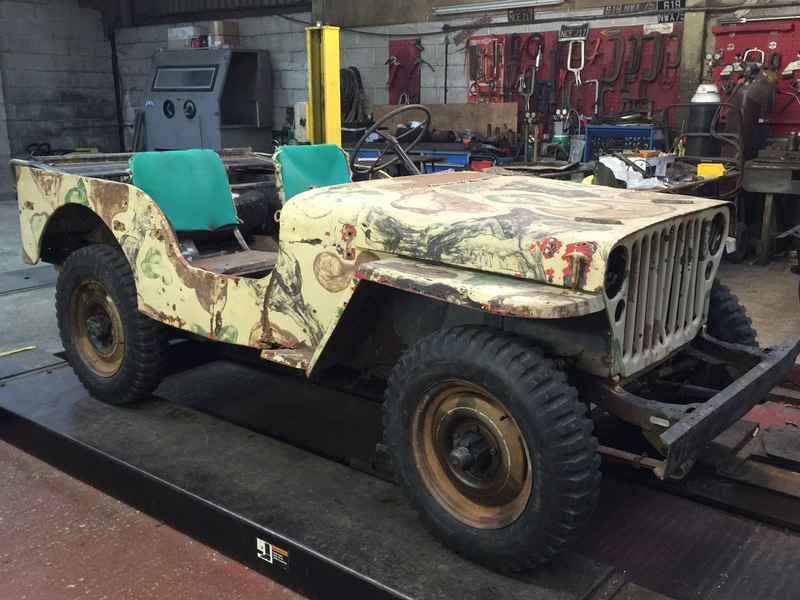 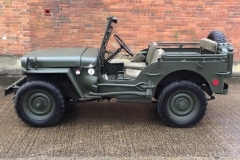 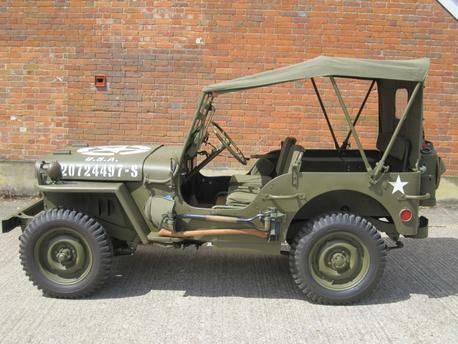 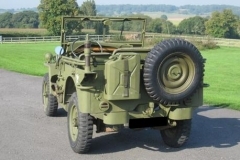 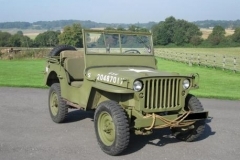 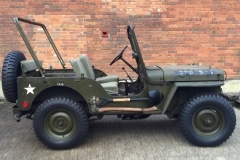 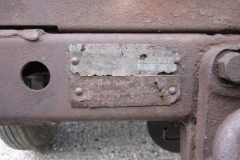 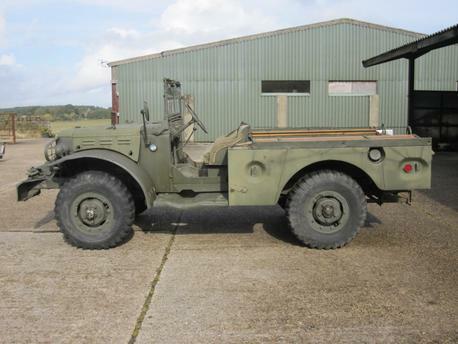 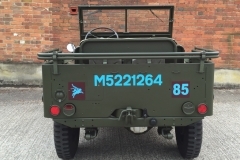 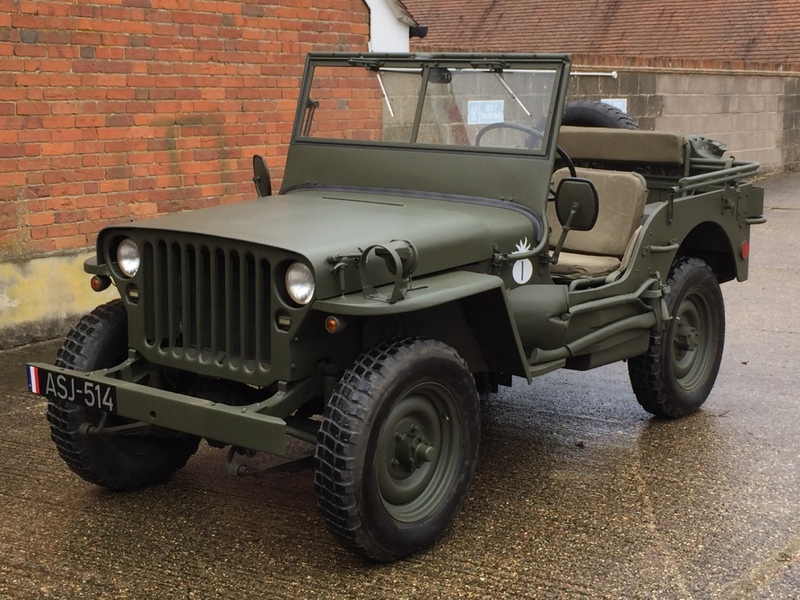 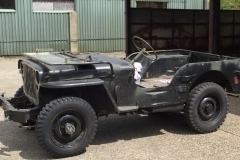 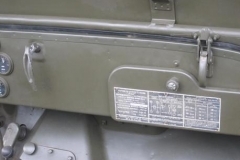 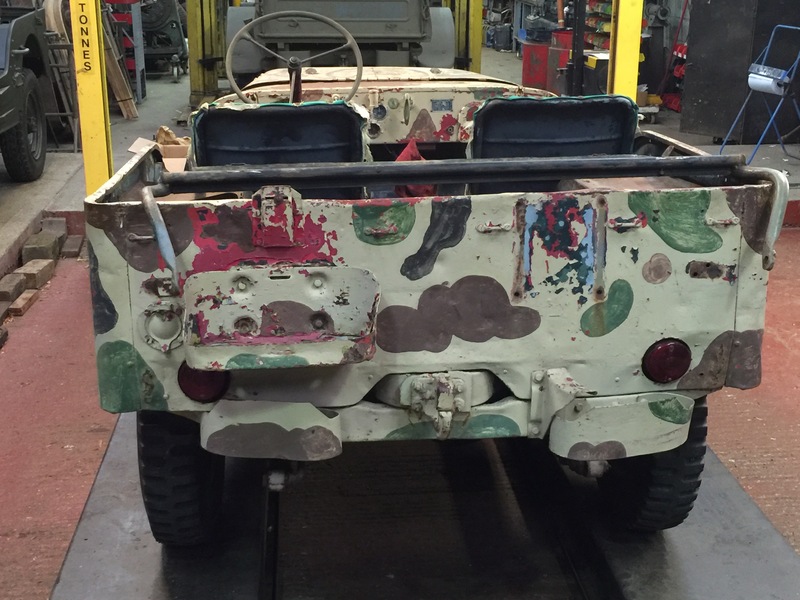 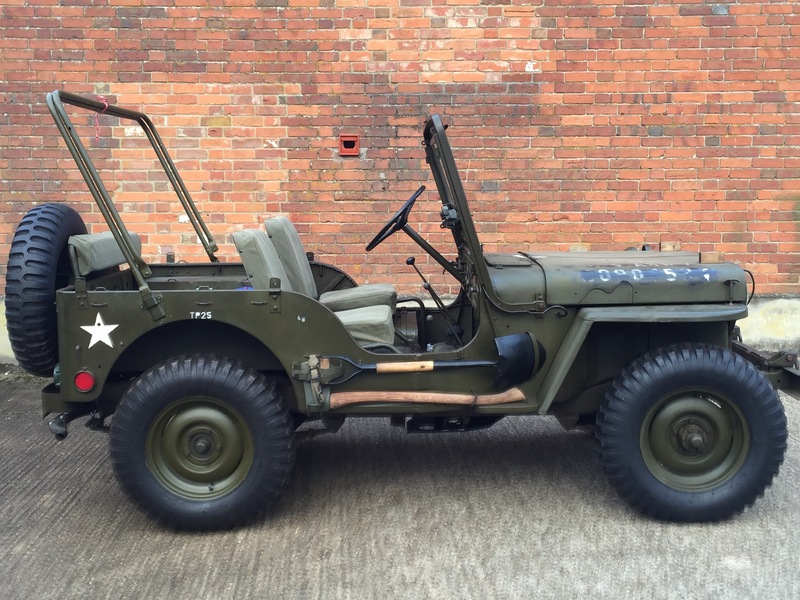 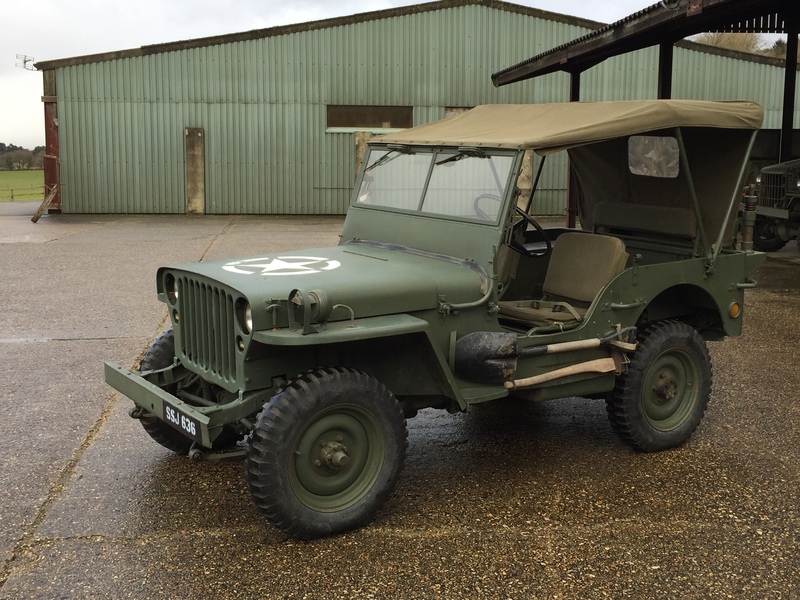 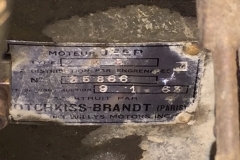 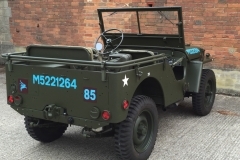 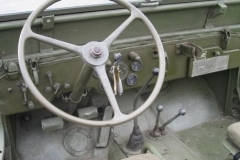 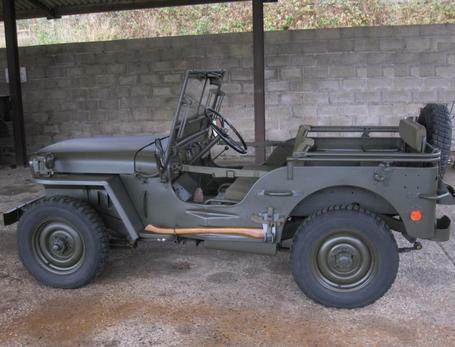 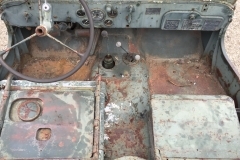 This particular Jeep has never been through the French Army rebuild programme, therefore it retains its original body in outstanding condition, It has its original engine and has all of its original data plates. 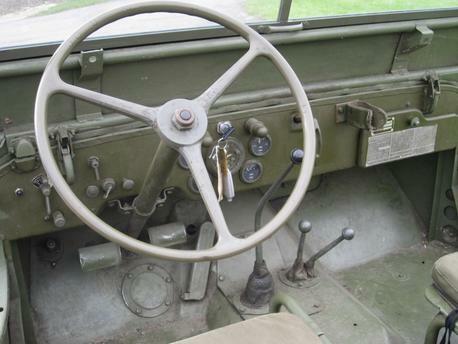 The Vehicle still has its original instruments, with the speedometer showing only 16,700 Kilometres. 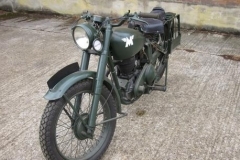 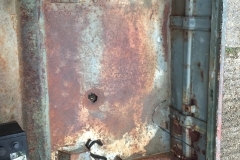 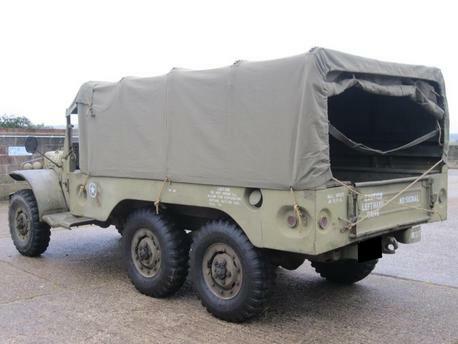 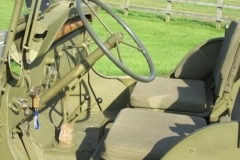 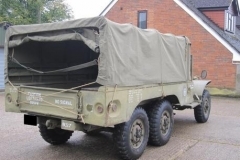 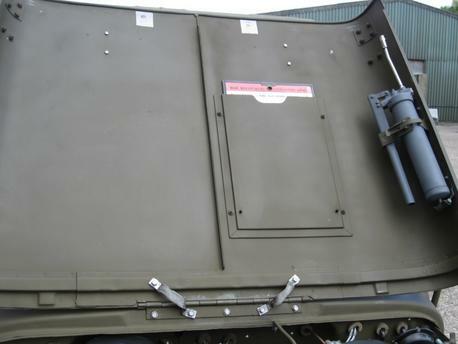 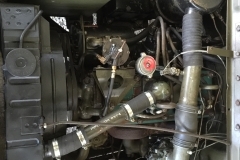 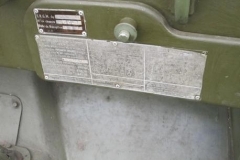 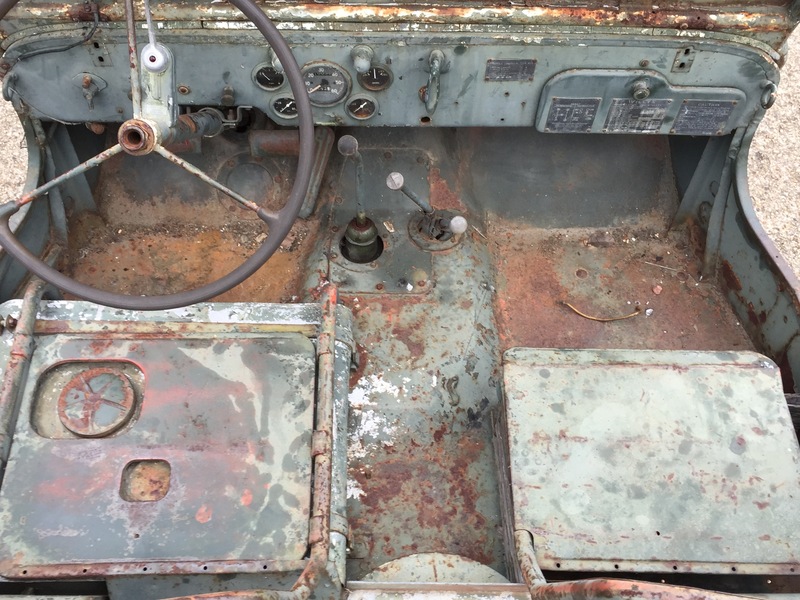 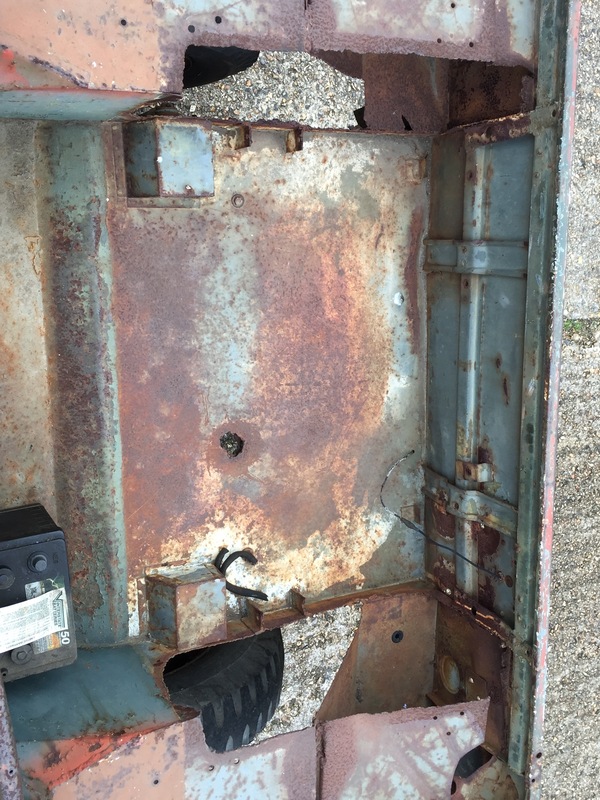 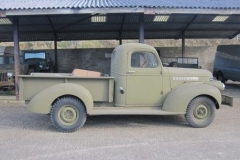 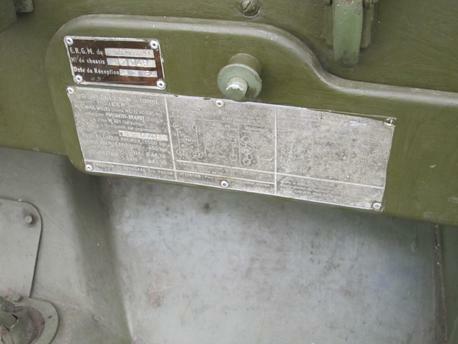 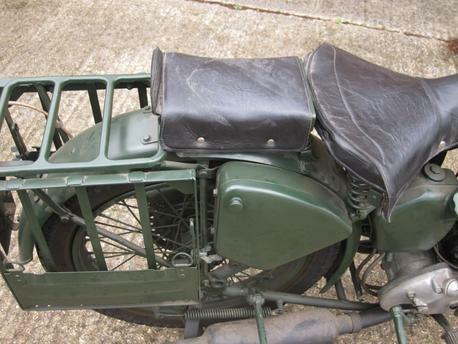 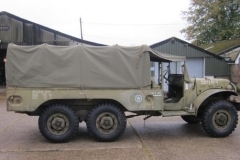 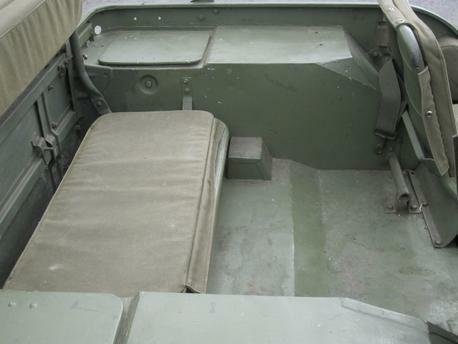 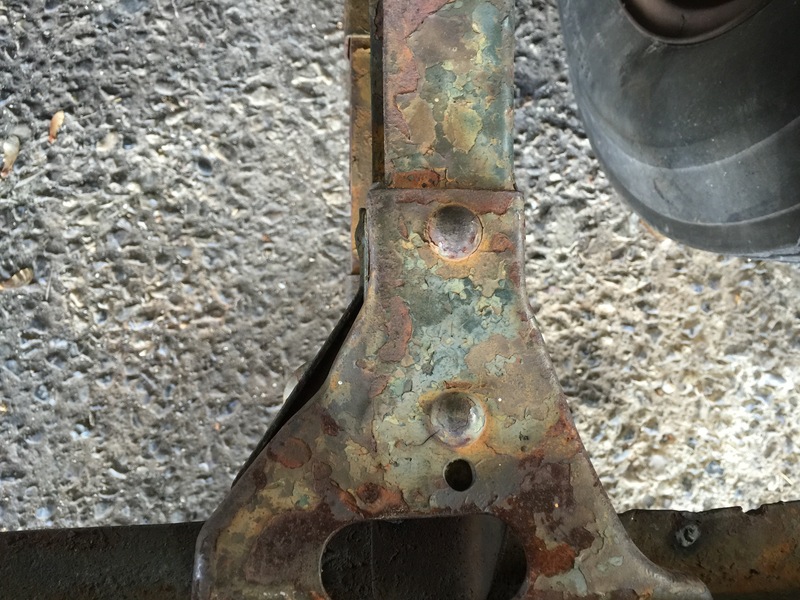 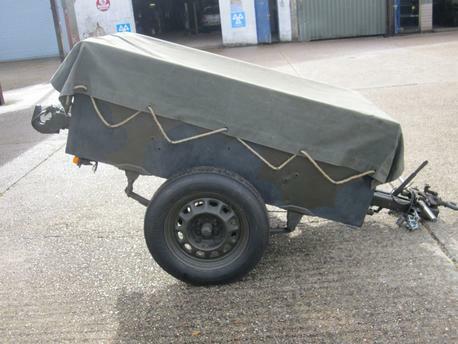 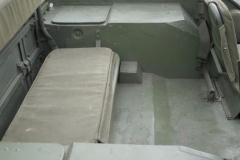 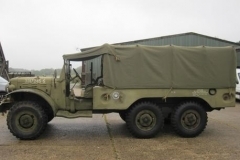 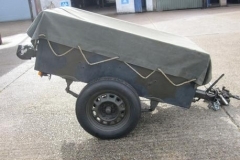 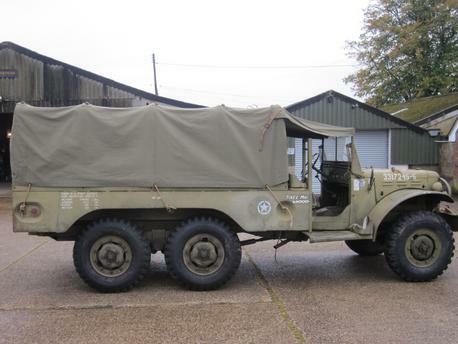 Hotchkiss M201, original body in very good condition, original data plates, new inner windscreen fitted. 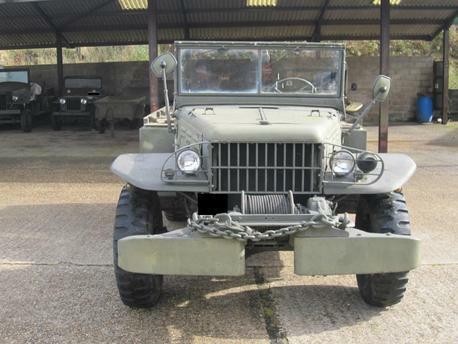 24 Volt electrics, runs and drives very well.